Sorry... the 2016 Mercedes-Benz AMG GLA is no longer being sold as new. The performance version of the Mercedes-Benz GLA has unique front styling and exterior trim, and it gets 147 horsepower more from the same 2.0-liter engine used in other models. It comes with standard 19-inch wheels and tires. 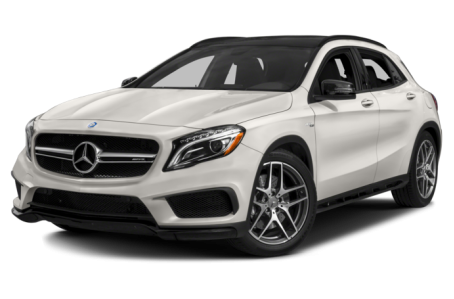 The GLA-Class crossover SUV is unmistakably Mercedes, with an upright front end, bold grille and the brand's star badge prominently showcased. It comes as the GLA 250 with a turbocharged 2.0-liter four-cylinder, a seven-speed dual-clutch transmission and front- or all-wheel drive. A high-performance AMG GLA 45 version comes with a 355 hp version of that engine and standard all-wheel drive. Competitors include the Audi Q3 and BMW X1. Keyless start and dual-zone climate control are now standard. The multimedia system gets a larger display (7 inches instead of 5.8), a new media interface and pre-wiring for Garmin Map Pilot. The available backup camera can now show a 180-degree view.